The contemporary world competes with the antiquity and history of this great city. Here you can stroll through the ruins of the Forum, once the civic heart of the Republican Rome. Walk the partially recreated floor over the massive and magnificent Colisseum, spend an evening at the Piazza Navona, once the scene of Roman circus games and now Rome's showpiece where you can sit and admire Bernini's Fountain of the Four Rivers while you savor the world famous tartuffo at the restaurant where it was created, Tre Scalini. A perfect location to become a part of the crowd at the Spanish Steps or the Pantheon. It becomes even more enchanting in the evening. This very picturesque area is filled with artists and craftsmen and is known as the Roman's Rome. Its residents are proud to tell anyone who will listen of their ancient Roman heritage. Tiny streets, colorful houses, overflowing flowers are the details that lend to the charm of this area. There are many great and inexpensive restaurants here and you will find yourself walking and dining among the Romans who live in other parts of the city, but wish they called this area home. The prestigious and elegant neighborhood of Rome. Pack a picnic to enjoy in the Borghese gardens, spend some time walking around the Piazza del Popolo. With its many monuments, some dating back 3,000 years there is a lot to see. You will find one of the best art collections of any church in the city in the Santa Maria del Popolo. This small city-state was founded on the site where St Peter was martyred and buried. The Basilica of St. Peters draws pilgrims from all over the world. Staying in this area affords you the luxury of also being close to the Vatican museum which houses the Sistine Chapel and the largest art collection in Rome. 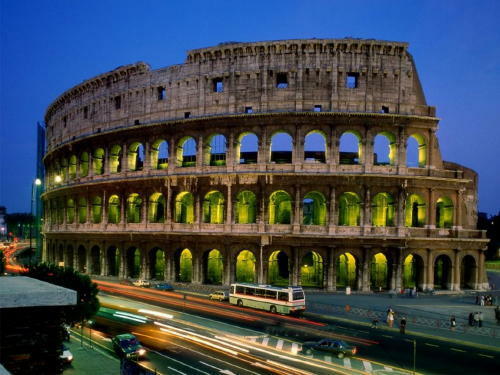 From here, it is always easy and inexpensive to get a cab to anywhere in Rome.